Ground control to Windsor. There’s going to be some fantastic fun had honouring David Bowie. Tiki Sushi is continuing with their popular karaoke nights by celebrating the life of David Bowie with…what else… Bowie Karaoke! 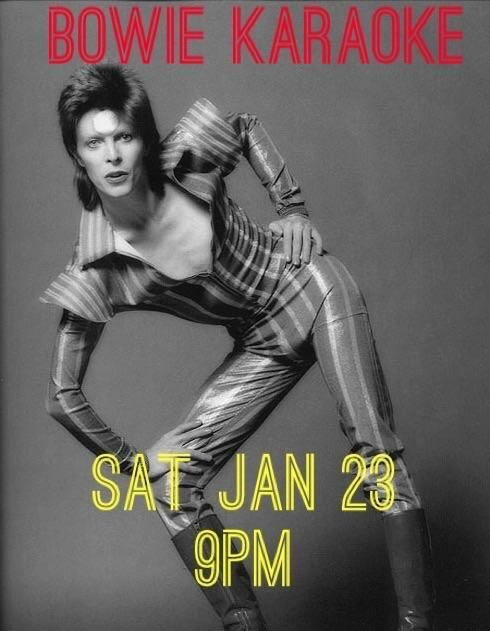 Starting at 9:00pm this Saturday night, January 23, 2016, visit the popular restaurant for a David Bowie tribute karaoke party. There will be a $5 cover that benefits a new local theatre group, Theatre Collective. Regular dinner service will take place from 4:00pm to 9:00pm. Bowie costumes and dance moves recommended, so go get your Ziggy Stardust on. Who knows, maybe chef Ted will teach you a new trick or two in between sets.